Provided by BU Theatre Department A scene from the BU Theatre Department’s production of “Smart People.” The play, which explores contemporary issues of diversity, will run in Studio B/Gruber Theater in the Fine Arts Building this weekend. Binghamton University is no stranger to smart people, but on Friday, the phrase will take on a whole new meaning. “Smart People,” a contemporary dramatic comedy, will premiere in Studio B/Gruber Theater in the Fine Arts Building. The Theatre Department’s production of “Smart People” will be guest-directed by Godfrey L. Simmons, Jr., a senior lecturer in acting at Cornell University’s Department of Performing and Media Arts. Simmons taught at Binghamton University from 2010 to 2015, and said he remembers the campus and its students fondly. This production is part of a new department initiative to encourage more student involvement in the performing arts here at BU. “Smart People” has given students like Cindy Diaz, the play’s stage manager and a freshman double-majoring in design and theatre, an opportunity to break into the theatre community. Set on Harvard University’s campus on the eve of former President Barack Obama’s 2008 election, “Smart People” follows the lives of four graduate students as they navigate the complex intersections of race, class and gender politics. The main characters — surgeon Jackson Moore, actress Valerie Johnston, psychologist Ginny Yang and neuropsychiatrist Brian White — are stunned when Brian proposes new scientific evidence suggesting that the brains of white people are predisposed to racism. 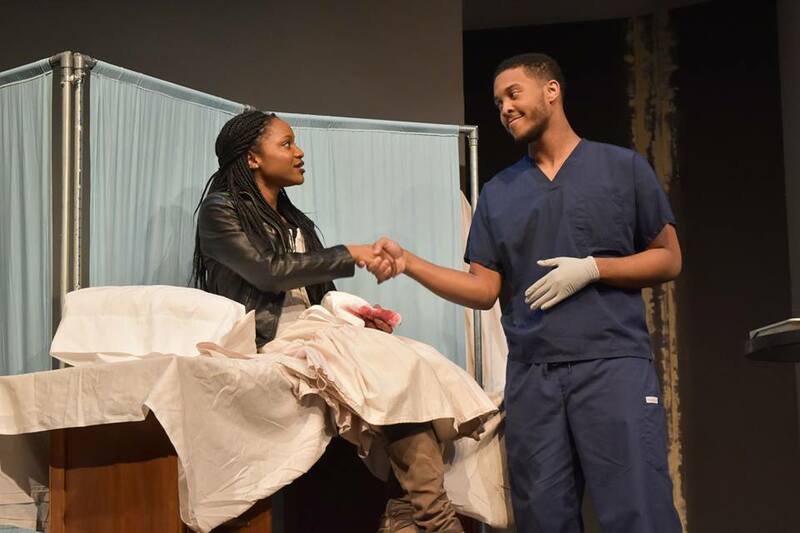 While grappling with pressing societal issues, the play also maintains a lighthearted tone and comedic flare. “Smart People” can be considered a modern-day comedy of manners, exploring touchy subjects such as political correctness when discussing race and gender. Although there are only four characters, diversity is central to this play. The cast, featuring two African American characters, an Asian American character and a white character, is composed of current BU students. When asked about the issue of representation, Simmons drew a connection between the BU student body and the cast. “Smart People” was written by acclaimed American playwright Lydia R. Diamond and performed off-Broadway in 2016. Despite Diamond’s previous success, the play was not received well by critics. Simmons said that he thinks Diamond’s piece needs a new appraisal in the critical arena. Anna Jiang, the actress who plays Ginny Yang and a senior double-majoring in business administration and theatre, said that acting in “Smart People” has given her the opportunity to show that stereotypes don’t define people. Performances of “Smart People” will be held at 8 p.m. on March 9 and 10 and at 2 p.m. on March 10 and 11. After both evening performances, there will be conversations about the play and diversity with production staff, cast members and the audience. Tickets cost $5 and are available online until March 8 and at the Anderson Center Box Office.